Once known as South Cray, this place was first mentioned in 1032 when King Canute granted land here and at Orpington to the priors of Christ Church, Canterbury. 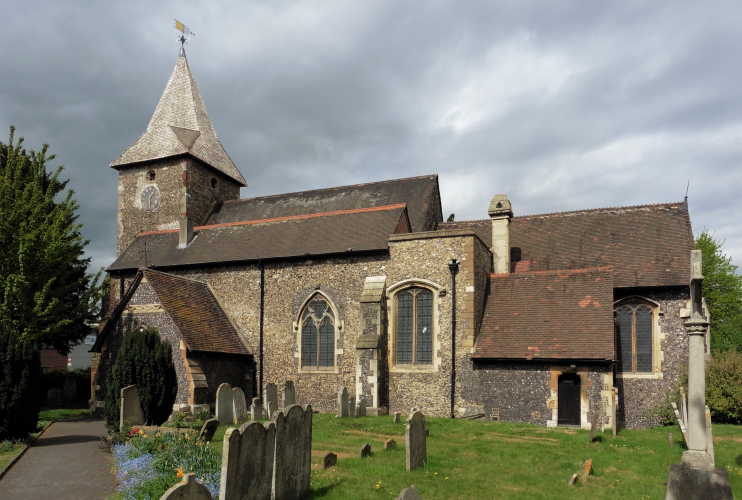 St Mary’s church was built in the early 13th century and soon gave South Cray its present name. During the Middle Ages the market at St Mary Cray was second only in importance to Bromley’s in this part of Kent and several mills operated beside the River Cray. In his late-18th-century History of Kent, Edward Hasted described the place as a “populous, handsome village.” A paper mill, later part of Wiggins Teape, operated from around 1806 and banknotes and stamps were printed here from 1860, the year in which the station opened. In the latter part of the 19th century a series of restor­a­tions to the church masked its medieval origins. On the western side of the district, a small estate was laid out in the Poverest locality. The construction of the Orpington by-pass in 1926 marked the start of the area’s modern indus­trial growth. The St Mary Cray section of the bypass, which was named Cray Avenue, oblit­erated Manor Farm. In 1936 the farm’s former oast house became the first home of electrical manufac­turer Morphy Richards. 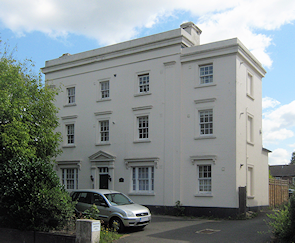 The 1950s and 1960s brought the heaviest phases of both indus­trial devel­opment and council house­building, erasing nearly all evidence of the original village, although some Victorian terraces and handful of older houses survive on the High Street, including Latimer Court (c.1830), shown in the small. The best of the old houses, the Rookery, burned down in 1980. Most of the industry is sited between Cray Avenue and the River Cray, with housing spreading up the slopes on either side. St Mary Cray’s charac­terless appearance has been attributed to the austerity of the postwar period but later commercial devel­opment failed to bring any improvement. Recent regen­er­ation schemes have made some beneficial changes to the housing estates. The most visible difference has been the removal of two run-down resid­ential tower blocks in 2012. At the last census 85 per cent of residents of the Cray Valley East ward are white (down from 95 per cent in 2001). A relat­ively high proportion of adults are divorced, separated or widowed. Levels of educa­tional attainment are low. Influenced by neighbouring St Paul’s Cray, the district is often mistakenly called ‘St Mary’s Cray’, sometimes even by those who live in the vicinity. The actor Leslie Grantham, best known for his appearances and disappearances in EastEnders, grew up on a council estate in St Mary Cray. * The picture of the church of St Mary, St Mary Cray, at the top of this page is adapted from an original photograph, copyright Dave Kelly and the picture of Latimer Court is adapted from an original photograph, copyright David Anstiss, both at Geograph Britain and Ireland, made available under the Attribution-ShareAlike 2.0 Generic Licence. Any subsequent reuse of either image is freely permitted under the terms of that licence.